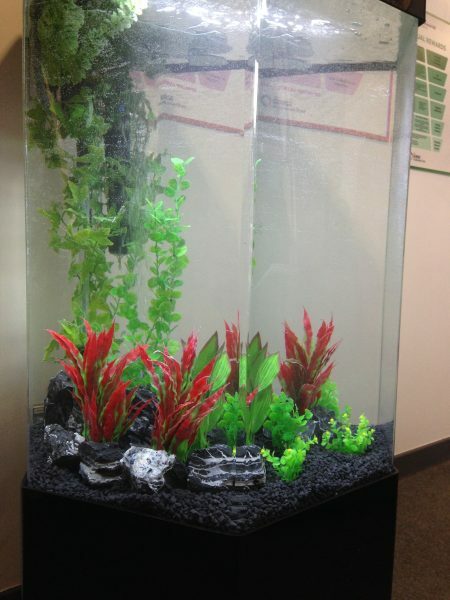 Our latest Leeds fish tank rental. We performed this hexagonal column aquarium install just this week, fish will be added next week once the tank has settled. We have already installed a large acrylic aquarium for his client which has an aquarium cleaning contract coupled with it. 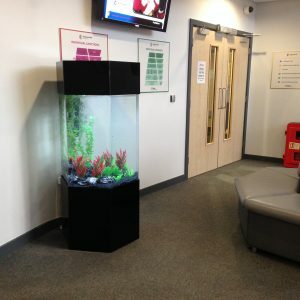 Therefore, when they requested that another fish tank was required in their reception area we were able to act quickly to install this tank within just a few days. This hexagonal tank is a complete system with all filtration mounted within the hood. All our rental fish tanks are modified in our workshop prior to installation to improve their overall look and performance. This tank has an automatic feeding system and also automated lighting. This leaves the client with no responsibilities whatsoever. Our fish tank hire service includes the complete aquarium, livestock and also maintenance service for a single monthly fee. 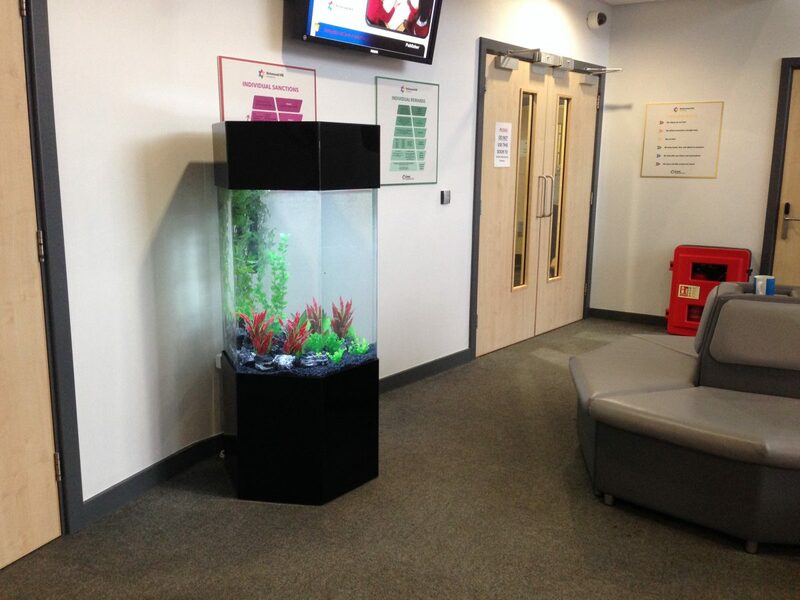 Our rental aquariums are great for schools, hospitals, dentists, company receptions etc. We also offer our hire service to residential clients. We currently offer our aquarium rental service in Greater Manchester, Cheshire, Lancashire, Derbyshire, Yorkshire, County Durham and Tyne and Wear. Interested in having your own rented fish tank?